Fully functional computer Lab at all centres with Internet access for children across all programme. English & Hindi Stories to develop pronunciation and listening skills as well as to introduce basic concepts like numbers, colours and surroundings. Practice Worksheets – Digital content for Math & Science (e.g. Edurite CDs, IXL & Bodhaguru) and online science videos for concept reinforcement & practice. Videos and activities on computers for Science and SST (multimedia & K-YAN). Mindspark — A computer-based self-learning Math Program for Classes VI to X to clarify concepts & application of Mathematics. Project work – Children research on the internet & make presentations for projects given by mainstream schools. Learning Computer Languages- Classes XI and above learn C, C++ etc. in schools/ colleges and they use the computer lab for regular practice. 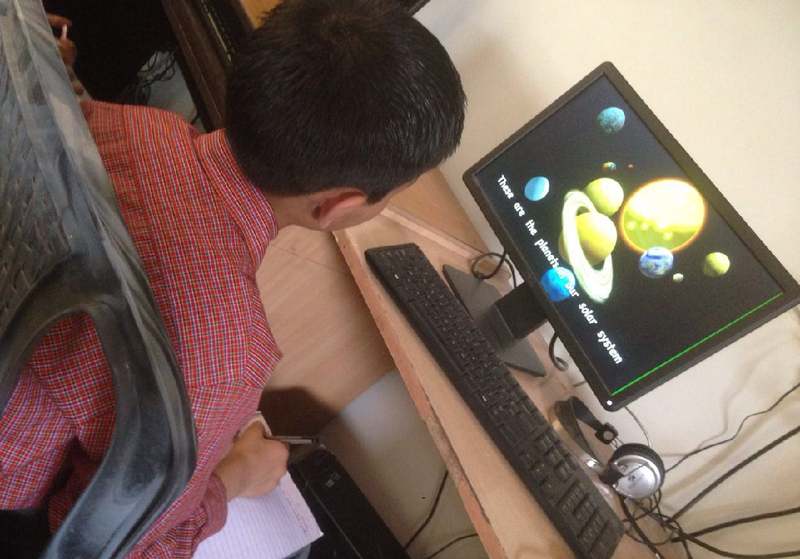 Computers are used in various creative project areas where students go through sessions conducted by professional faculty in different areas such as Animation, Film Making, Film Editing, Documentary Making and Mass Communication, Software Engineering and Photography.